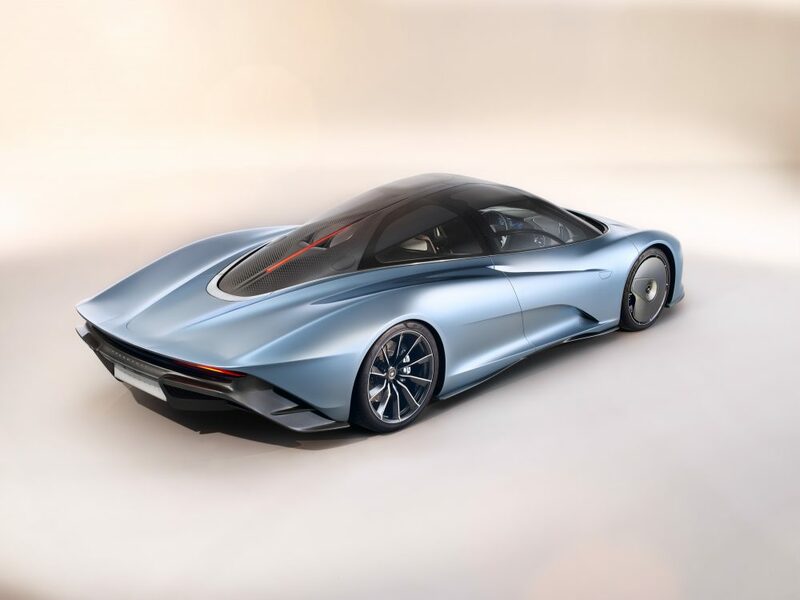 It has massive aero covers on the front wheels, side mirrors that are actually retractable cameras, a trailing edge with some special sections of carbon fiber that can change shape under braking and lay flat and smooth in 250MPH-chasing “Velocity” mode (this hyper GT, as they are calling it, is the fastest road car the company’s ever produced), and the center-seat, 17-foot-long McLaren Speedtail will start delivery in the first half of 2020. 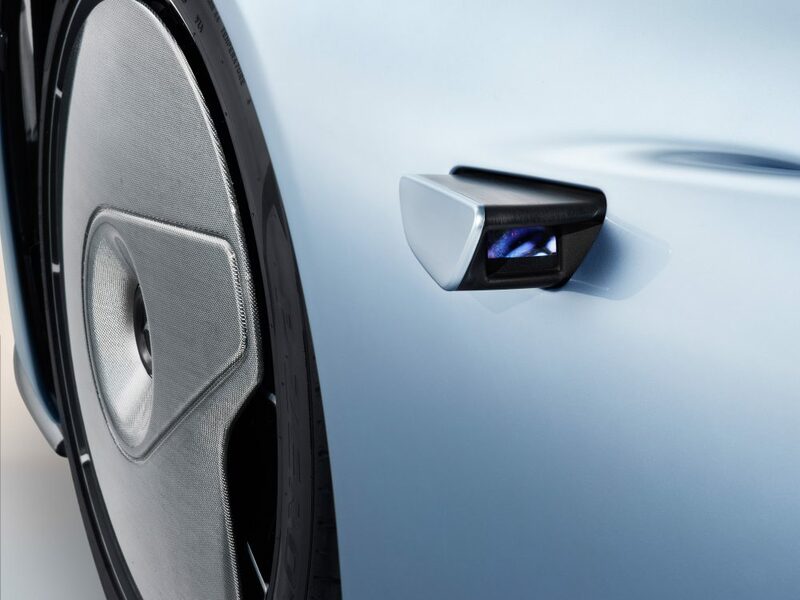 As you know or may have guessed, all 106 examples that will be produced have already been spoken for by the cadre of people who saw this car last week and probably put their deposits down well before they got a private teaser. It’s list price is £1.75 million, if you’re curious. For the rest of us, all that’s left to do is gawk and type opinions to one another about this rapid teardrop, and we’ll be pretty busy doing so given the amount of discussion fodder that lives in this wild thing. Before getting into more of the details from the highly detailed press release, here are some basic stats. 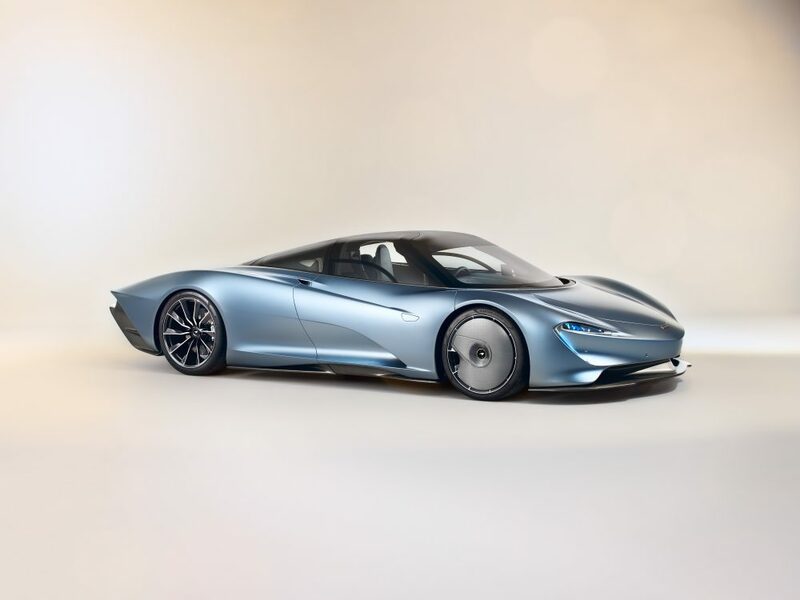 The Speedtail’s hybrid drivetrain was not fully divulged in today’s release, but we know it will make 1,035HP, which will bring the 3,153lbs (dry weight) to 186MPH from a standstill in just 12.8 seconds. 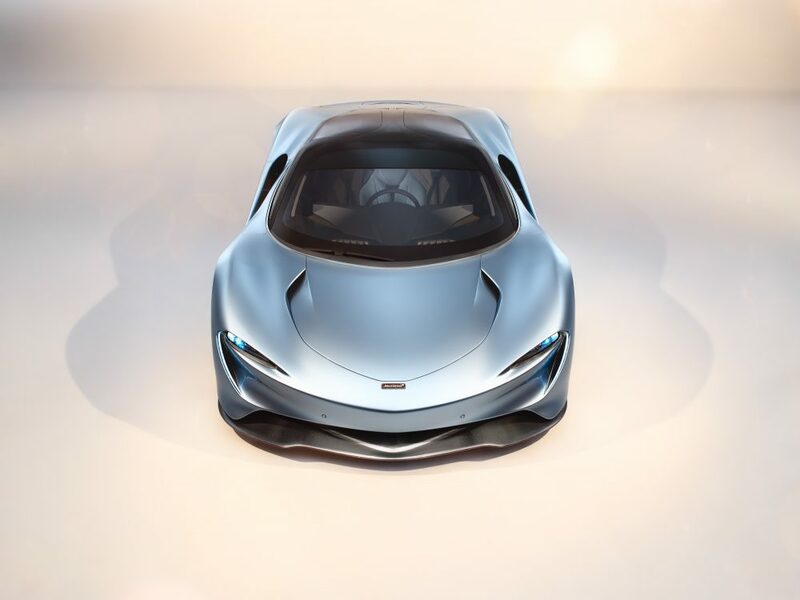 It’s hard to put that kind of pace in context when the peer group is so limited, but for reference the company’s P1 gets that long sprint done in 16.5 seconds. In other words, the Speedtail deserves its descriptive name. 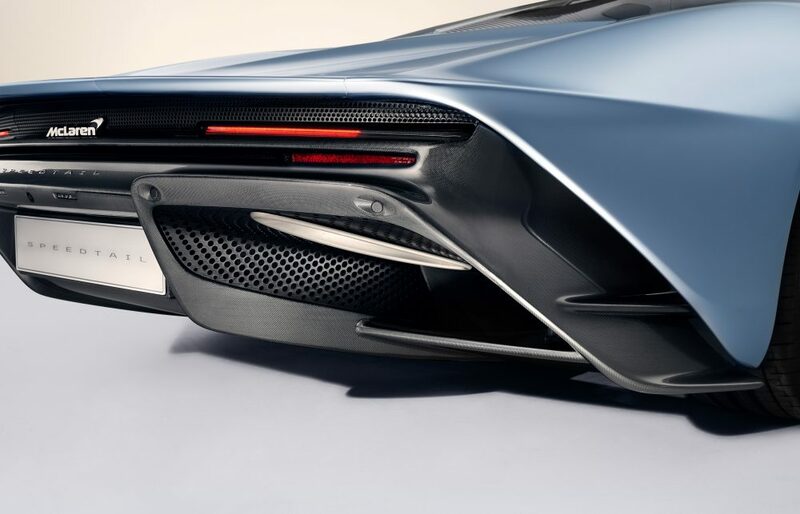 The tail part especially so, given how the design breaks from the overabundance of canards and scoops and foils that characterize what we typically call hypercars and instead turn the car into something long and svelte and sleek. It looks like it’s accelerating away from a door knob its got its dress snagged on. The painted bodywork is draped over the mechanical fixtures rather than pulled so tautly over them that odd bulges abound. Not on this car. 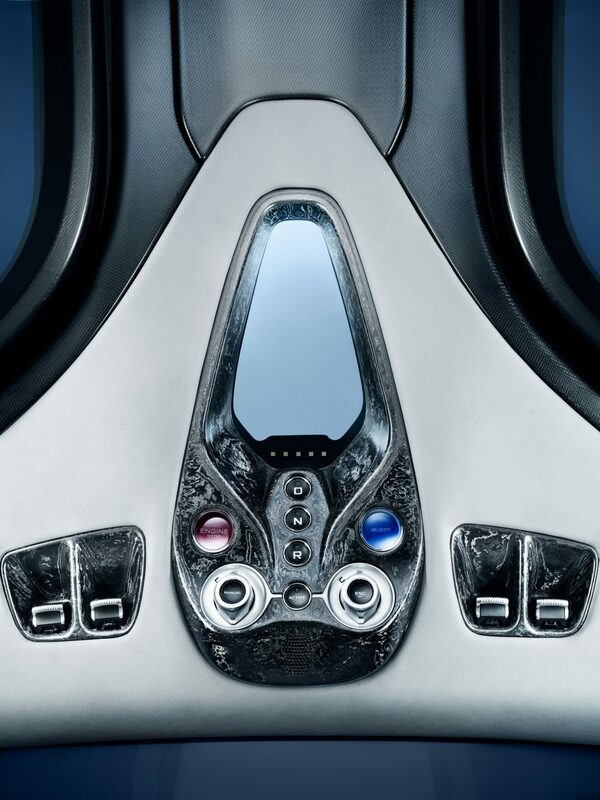 There is a sense of something else hiding underneath the slippery carbon, but here it seems like the layout of the internal bits are dictated by the external shell rather than the other way around. 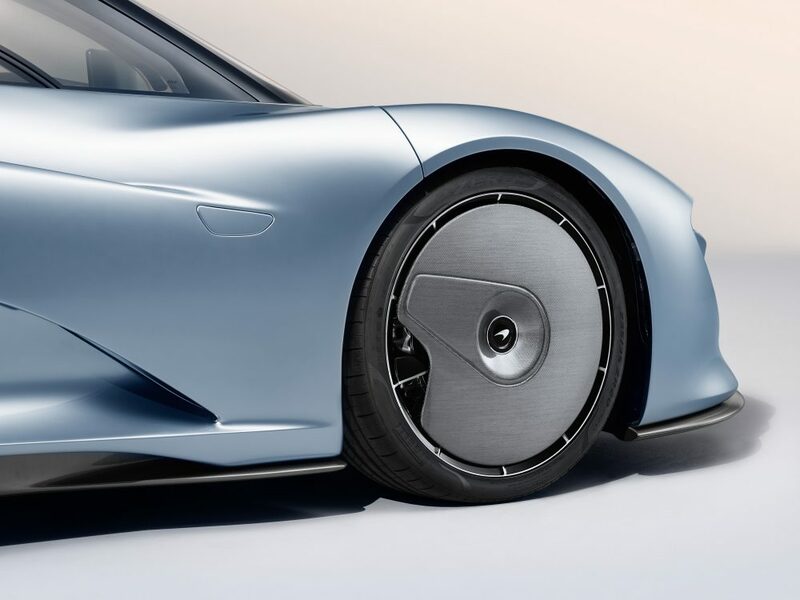 With the addition of the turbofan-esque carbon fiber covers on the front wheels (on top of carbon ceramic brakes obviously), the overall presence is at once reminiscent of race and street cars of the past while being a welcome refresher from the path we’d been going down with exercises like the Bugatti Divo or the Lamborghini Pick-One. 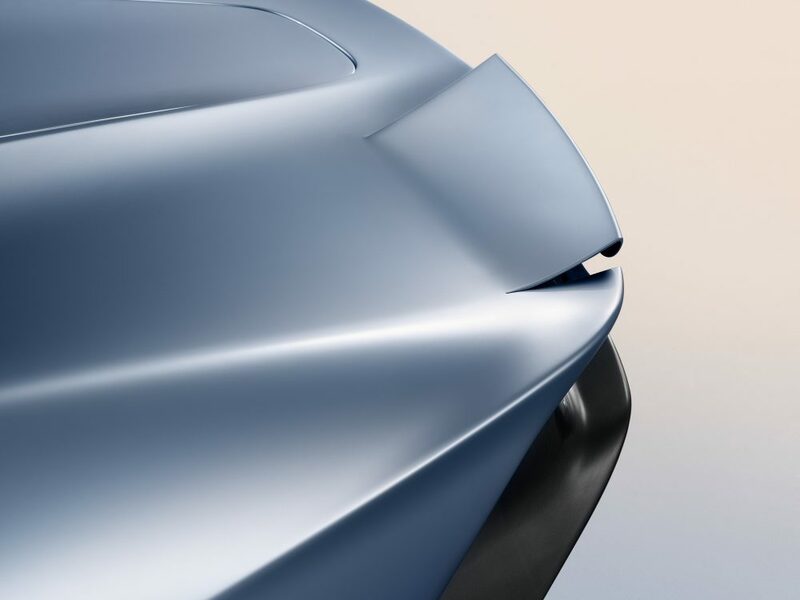 To further differentiate the Speedtail, the active aero elements are nothing new as a feature in this realm of performance, but the way they’ve built them is: the rear ailerons (or “flaps” as you might call them if you don’t tolerate words that are hard to pronounce and make you sound pretentious if you do it correctly), are integrated into the hulking carbon clamshell that makes up the rear of the car (more pieces means more panel gaps, which even at their tiny dimensions mean more disturbance of the air) and they are hydraulically operated to find the best angle for the situation you and your Speedtail may find yourselves in. 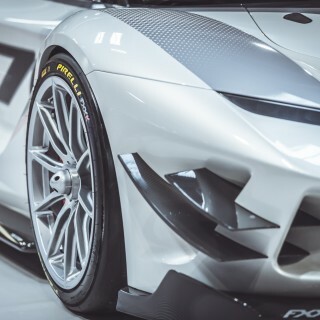 What’s so unique about the active aero in this application is that carbon fiber is being bent into position rather than a fixed piece that moves around and creates panel gaps when it lays flat. 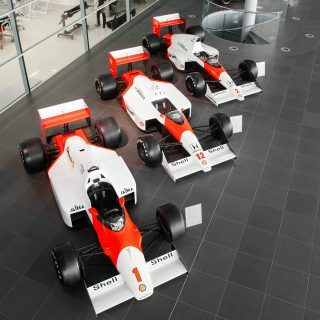 McLaren got around this problem by bending something that is known for its staunch resistance to bending. They are just one of many patents that live in this car. 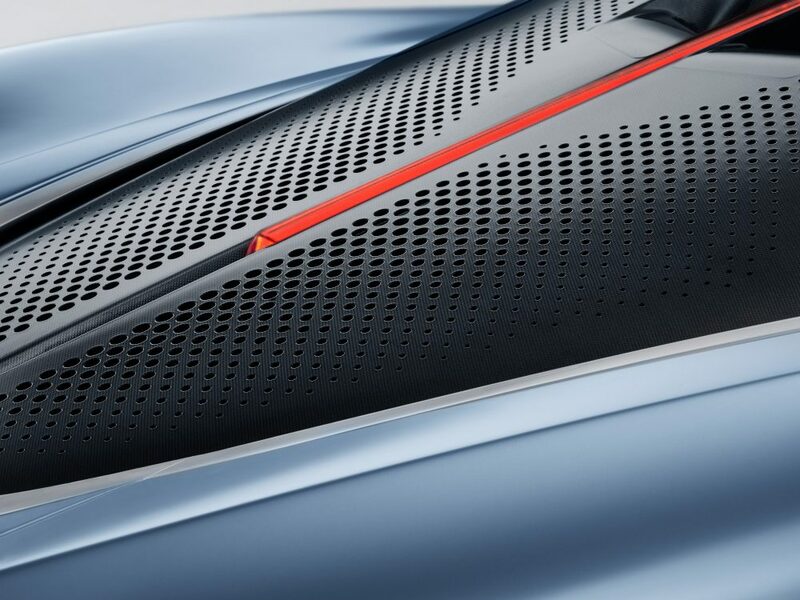 As they’re wont to do, McLaren has again pushed the limits of carbon fiber construction further, by using what they call a “digital loom” to fuse a micron-thin layer of titanium inside of their special weave, which lets them use even less material to achieve the same rigidity as more traditional methods of curing carbon fiber. Plus there’s a cool shimmer effect gained from this, and who among us doesn’t like looking at carbon weaves on diffusers and splitters? 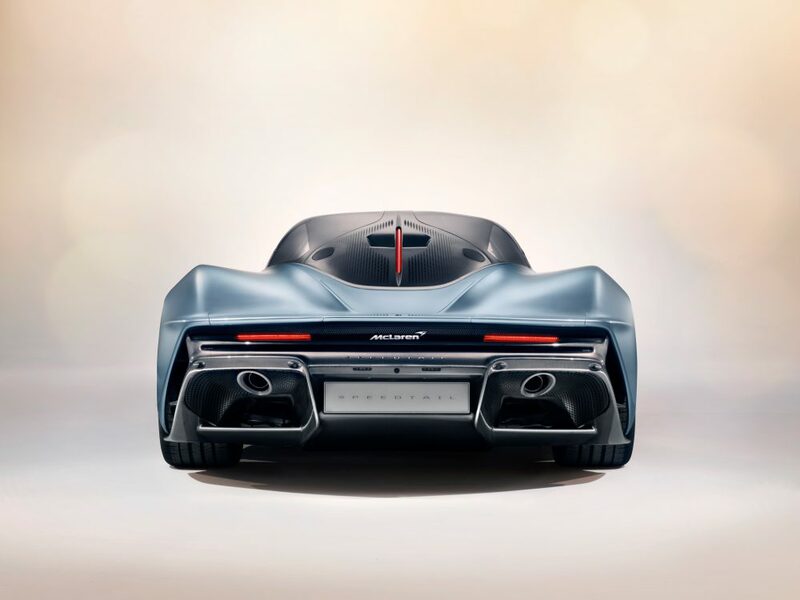 The attention to shapes and ducting continues throughout the Speedtail, as the flow of air at the front, rear, around the sides, underside, and topside of the car was one of if not the most important elements of the car’s performance as a “hyper GT.” It’s not a track-focused toy like the Senna, but rather a luxury three-seater (yes, the driver goes in the middle a la F1) with abundant leather inside the carbon monocoque cabin that is capable of such pace that the only cars that can keep up require more power and far fewer creature comforts to stay parallel at top speed. It couldn’t come kitted out with race car levels of wings bolted onto it if anyone would take it seriously as a tourer. 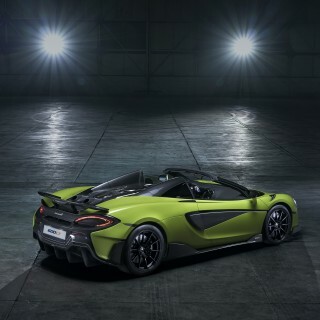 For instance, rather than placing the rear view mirrors on lightweight carbon stalks—which disrupt air flow while making it look more race car than road car in the process—McLaren has set it up so two retractable high-def cameras slide out of the sides and project wide-angle views onto two screens mounted in the cabin. Speaking of, the interior has its share of neat tricks too. The most noticeable of which is the electrochromic glass that makes up the airy canopy. Light pours in, but if you decide you don’t want it you just tell the glass to tint itself and it does. It replaces the need for sun visors, and it looks and functions much better than those permanently-grey Transitions eyeglasses you never see anymore (for good reason). 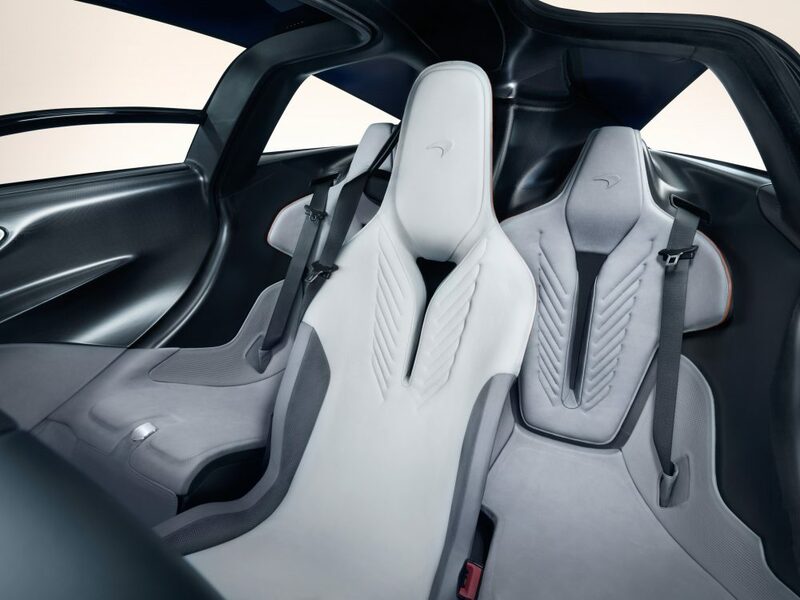 The leather inside can replace the carpet if you so desire, and the interior and materials designers made it a point to ensure that opening things like the glovebox felt like playing around with luxury luggage instead of something you’d find inside a car. It’s still a car by way of it having four wheels to move people around on public roads, but beyond that it seems very much like a new level of car. How many other manufacturers can say they’ve developed a bespoke weave of micrometers-thin carbon fiber for the interior trim with a watch company? 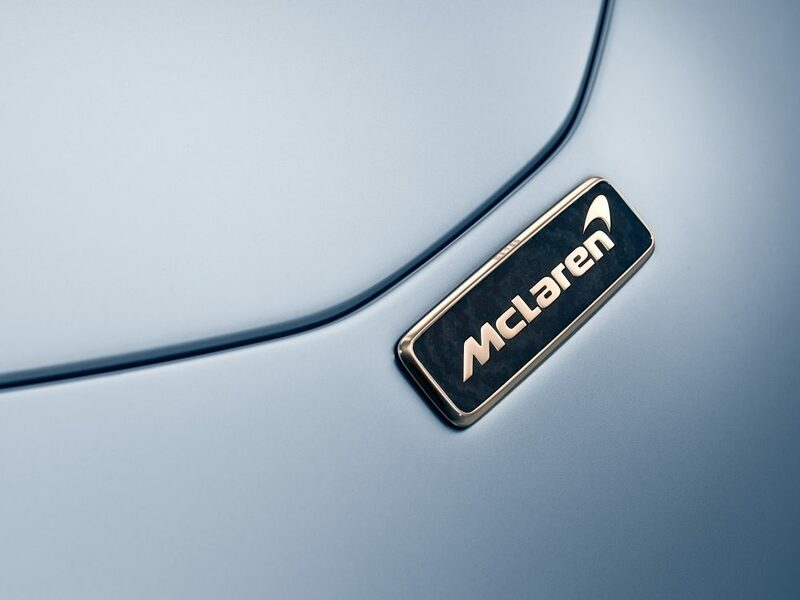 McLaren and Richard Mille did it, and if you’re not a fan of the how the mode-select panel looks on the roof of the car, I imagine you will find solace in the fact that the buttons contained therein deliver some seriously inarguable performance. 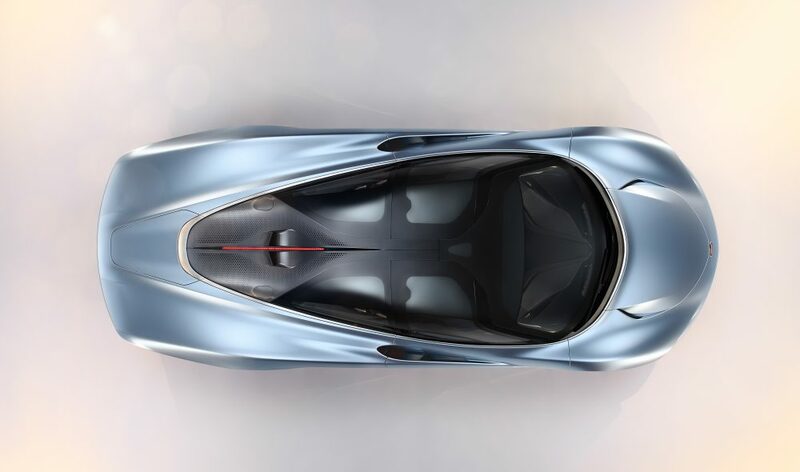 The Speedtail is a car that almost none of us will ever own or sit in, but damn if we aren’t all looking forward to seeing one in person. What do you think of this hyper GT? 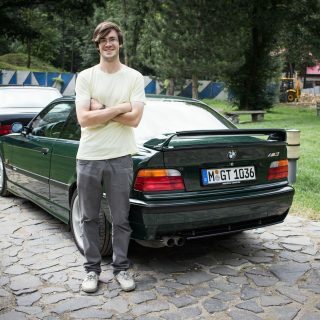 If you want to know more about the car, just ask and we’ll find out what we can. 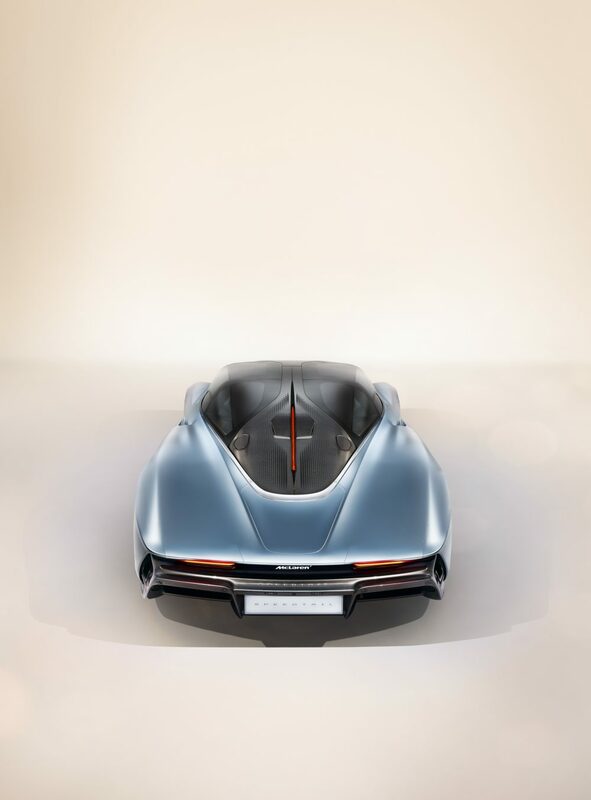 Elegant form unadorned with any spoilers, a curiously retro – futuristic car. Not an F1, but that is sat high on a pedestal it is nigh on impossible to match. 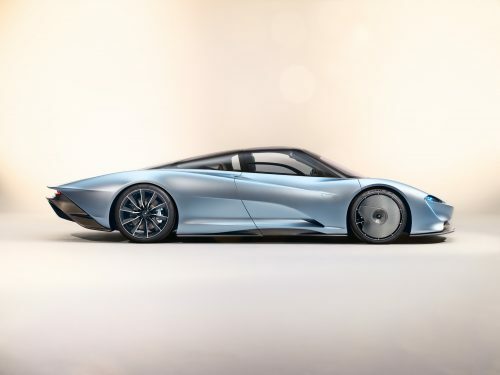 I can’t see anywhere where such a car as the Speedtail could be used to the maximum, but I am glad it exists. A different direction to other hypercars, Maybe have a more performance orientated, n on GT version with a cam tail – a Short Tail?